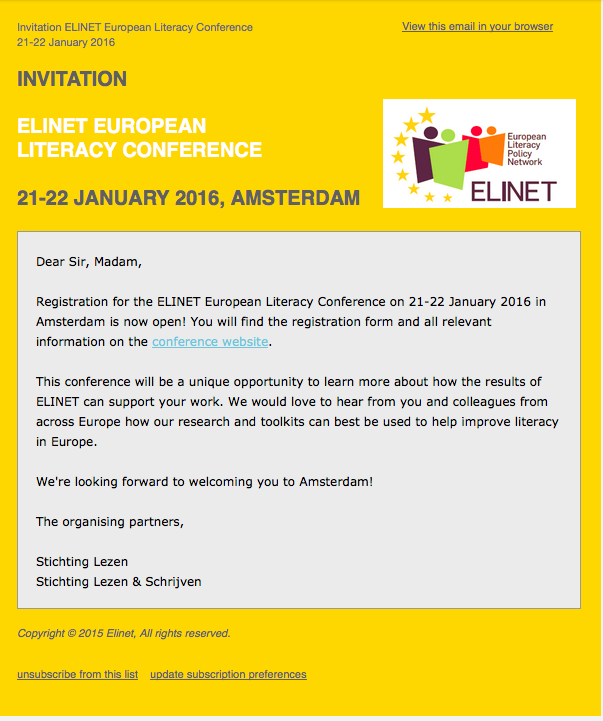 Registration for the ELINET European Literacy Conference on 21-22 January 2016 in Amsterdam is now open! You will find the registration form and all relevant information on the conference website. 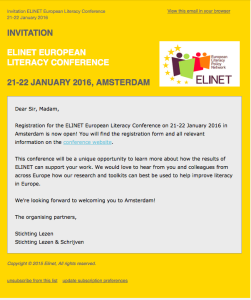 This conference will be a unique opportunity to learn more about how the results of ELINET can support your work. We would love to hear from you and colleagues from across Europe how our research and toolkits can best be used to help improve literacy in Europe. We’re looking forward to welcoming you to Amsterdam!